Effortless laundry days are now a real possibility with the LG FH495BDA washing machine. 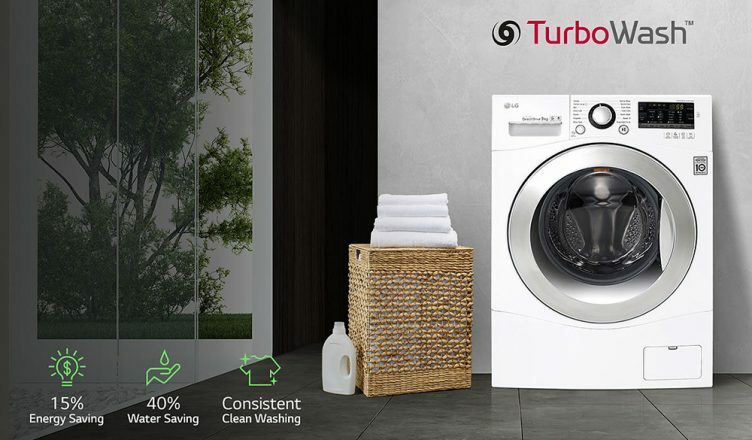 With an extra-spacious 12kg drum, it can handle the whole family’s wash loads with ease whilst being economical and ultra-efficient with an A+++ energy rating. A busy, hard-working mother’s dream! Its great TurboWash feature makes it even more cost-effective, spraying water on your clothing rather than soaking them! Once the cycle has started, 6 Motion Direct Drive technology uses a combination of washing motions for specific programmes, such as a scrubbing action for deep cleaning, a side-to-side swing for delicates and other modes to reduce noise, faster soaking and crease reduction. There is a separate crease care button to add to the end of any cycle where the drum spins and rotates in a combination of movements, which mirror hand-washing techniques. By doing this, LG ensures that different fabric types get the best care, so you’ll always achieve spotless results. Another perk of this machine is LG’s Smart Diagnosis, which allows customers to send fault code data directly to the service centre via their phone. If the fault is merely a simple filter blockage or an easy user-fix, the system could remove the added trouble of waiting for an engineer to come out altogether. 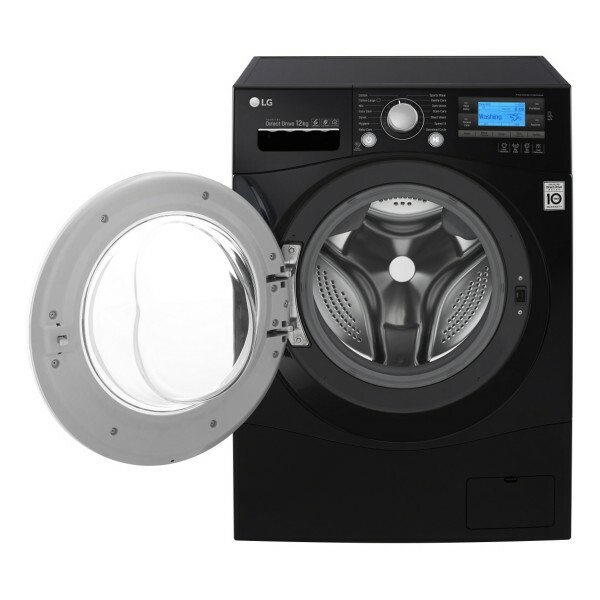 In addition to touch control buttons, the LCD display is crisp and clear, showing in detail the multitude of wash programmes, temperatures, spin speeds and any other options that may have been chosen. The wash time is then calculated and shown as both a countdown time and percentage time through the wash LCD display, complete with a moving shirt graphic whose animation changes with each stage of the wash. Once the cycle has ended, the machine will play a short tune to inform you that the wash cycle has finished. It’s a good machine to use day in, day out, a fact helped by the 6 Motion Direct Drive system which gently rotates and then stops the drum to loosen your washing from the sides of the machine. This has visible results with the clothes emerging in a gentler, softer and less creased way than machines of previous years. Among the 14 pre-set programmes ranging from the standard cotton, easy care, mixed and woollen wash, there is also a baby care and skin care option which includes extra rinses to ensure all detergent residue is removed, a sportswear programme designed for mixed fibres, a dark wash and a quick 30-minute or an intensive 60-minute wash. Arguably, LG’s favourite function allows you to tailor a program and its options to your needs and save for one-click access next time. Overall, this is a great looking machine with a huge capacity and would be able to tackle big wash loads from a very large household with ease. It is packed with features, is quiet and the 6 Motion drum rotation has lots of benefits that are too many to count. This is a great all-rounder that would benefit anyone who is environment-conscious, a money-saver and/or requiring a versatile machine which can handle everything you can throw at it! Why not ask your local store for a demonstration, buy online for home delivery or use our stellar click and collect service and pick up your new washing machine from as little as one hour after you order from a store near you.